(Naples ME) The scoreboard wasn’t working and senior captain Olivia Feeley was away looking at colleges. 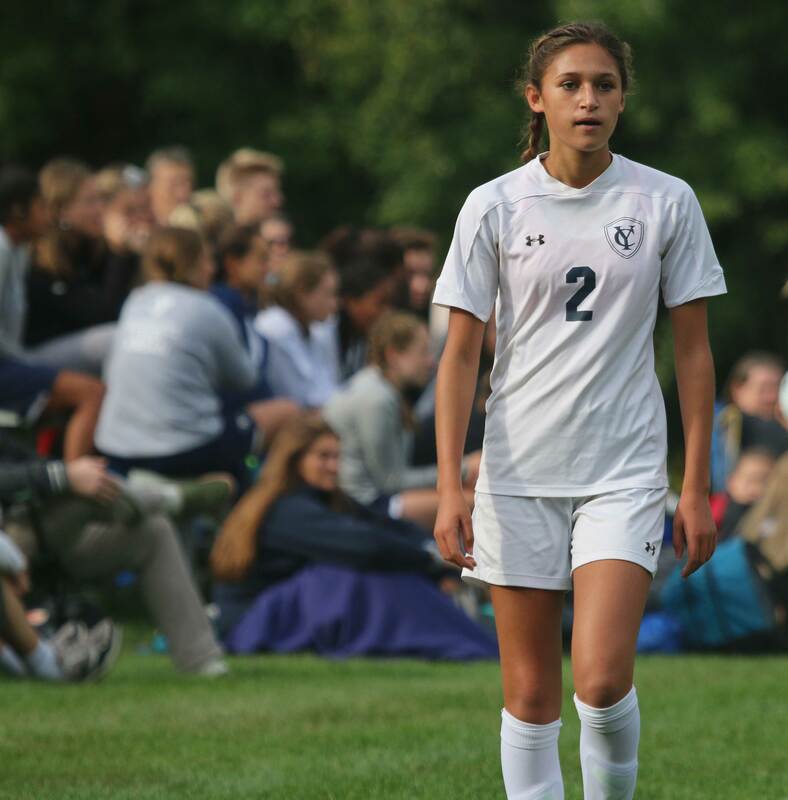 Didn’t matter to Yarmouth as they won their fourth straight defeating Lake Region 4-0 on Thursday afternoon. The Clippers (4-2) scored only four goals but they had a ton of glittering chances beyond those goals. 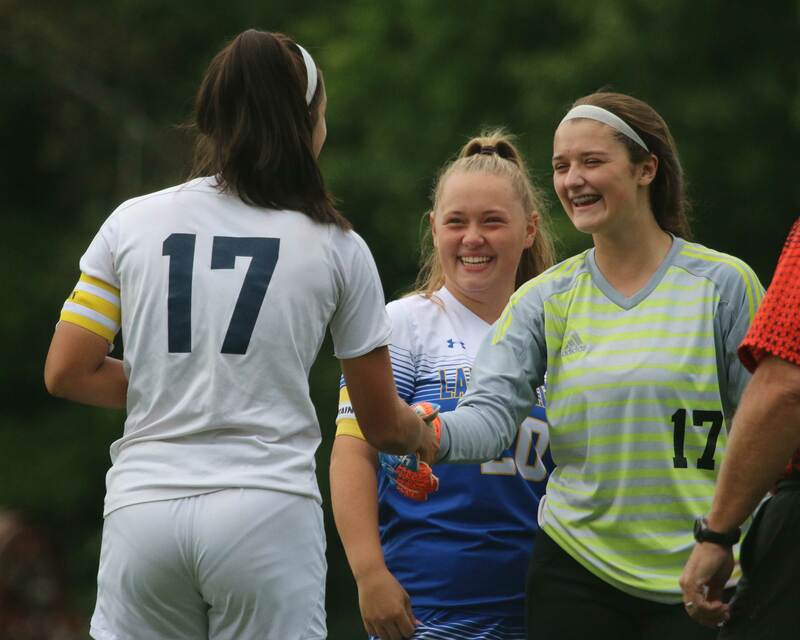 Credit LR goalie Maddie Rock and the cool, but not too cool, weather. 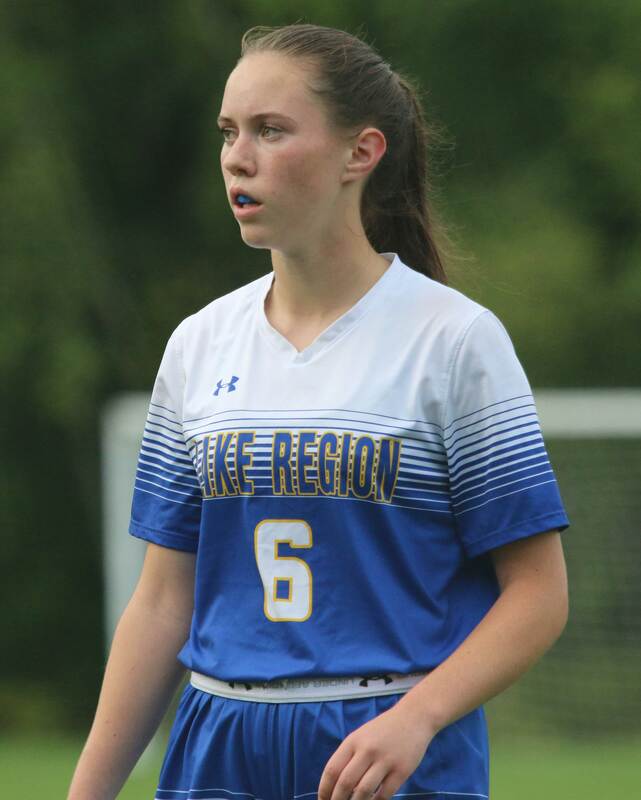 Maddie kept the score down by surviving some point-blankers in the first half and some dangerous corner kicks in the second half. 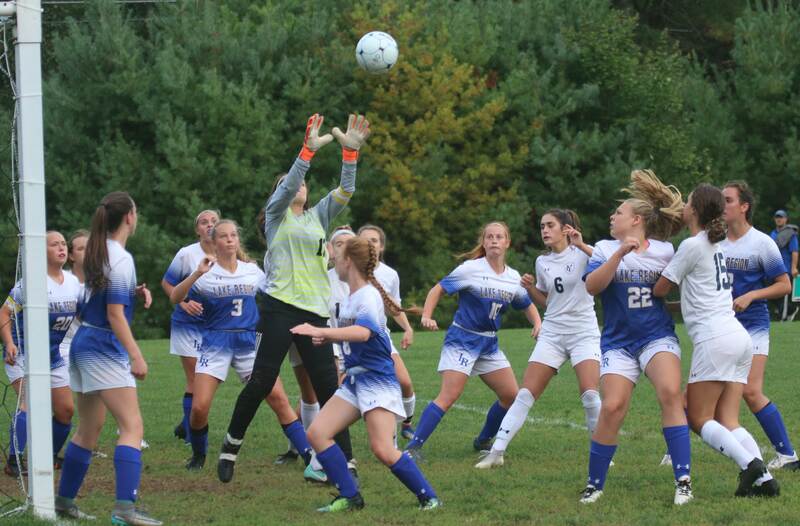 The cooler weather kept a very busy LR defense from getting too tired over the constant pressure YHS brought. The two-time defending Class B champs were patient and opportunistic. They connected with teammates whether those teammates were ahead or behind. Their passes ahead often led to scoring chances. 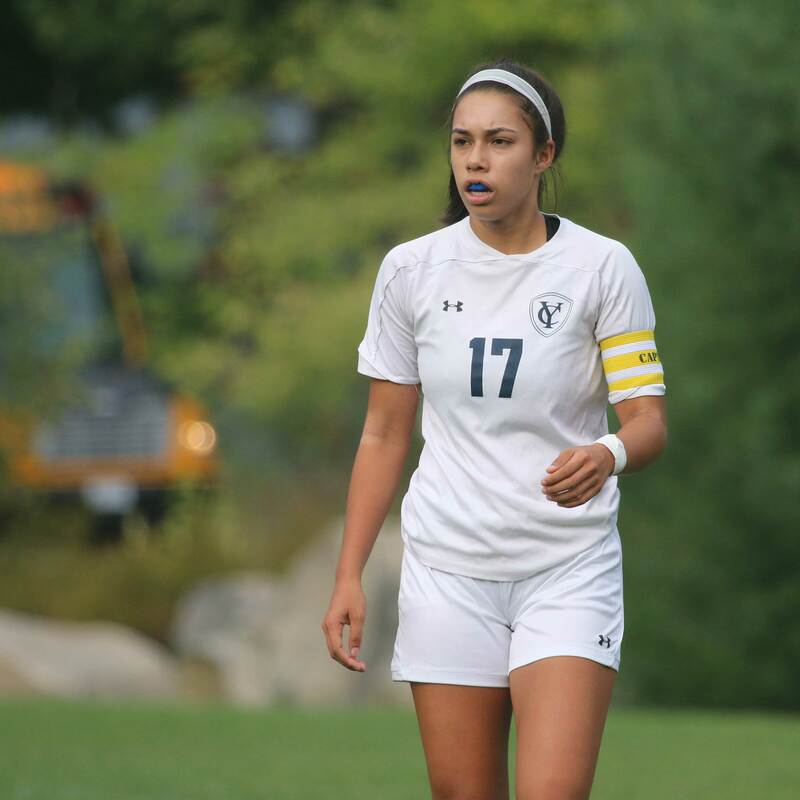 “We controlled the game from start to finish,” said YHS coach Chris Coleman. The Clippers had two goals in each half. 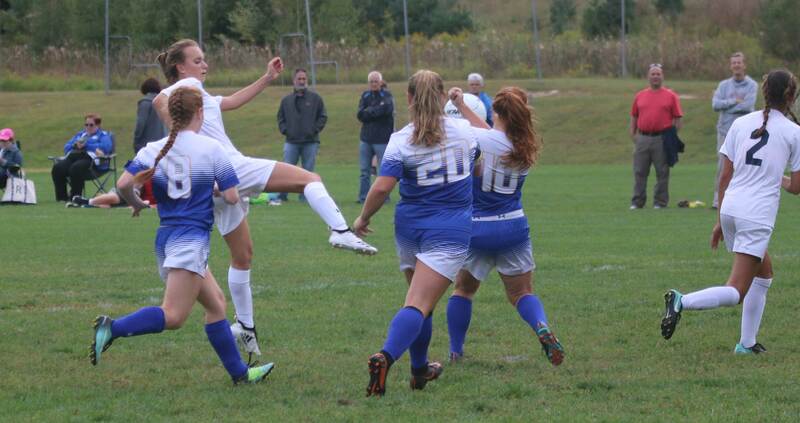 The Lakers (1-4-1) had very few chances to dent Yarmouth GK Hope Olson. Neva Leavitt had several runs for the home team. 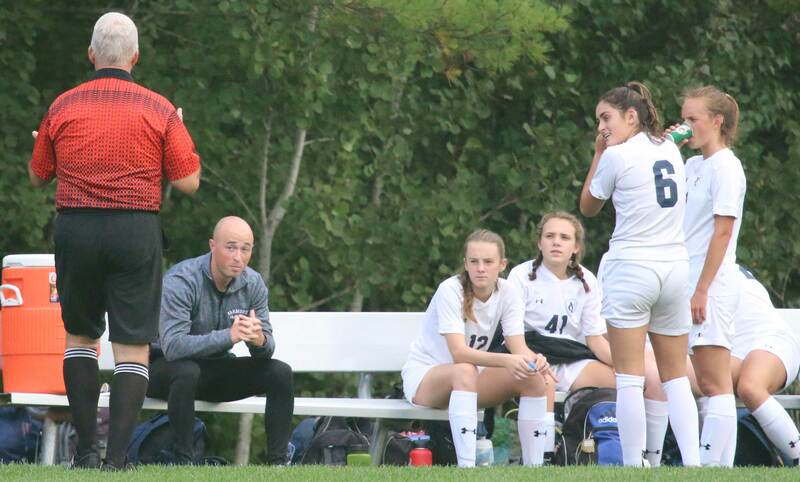 “We had some decent possessions, but we just couldn’t find the last pass,” said Coach Jaeger. Sophomore Parker Harnett converted a break-in to open the YHS scoring. “It was a great finish” – Coach Coleman. The Clippers’ second first-half goal was off a corner kick. No surprise to me. Why? The Clippers had all sorts of CK formations and their kickers put the ball where goals could happen. 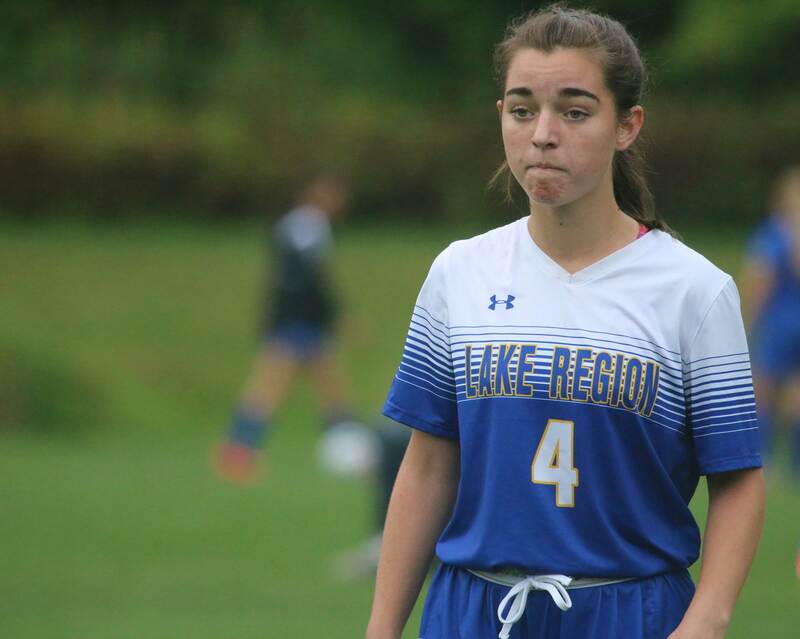 Twenty-two minutes into the first half Abi Hincks floated a CK far enough out from Lakers’ goalie Maddie Rock that she couldn’t come out to get it. 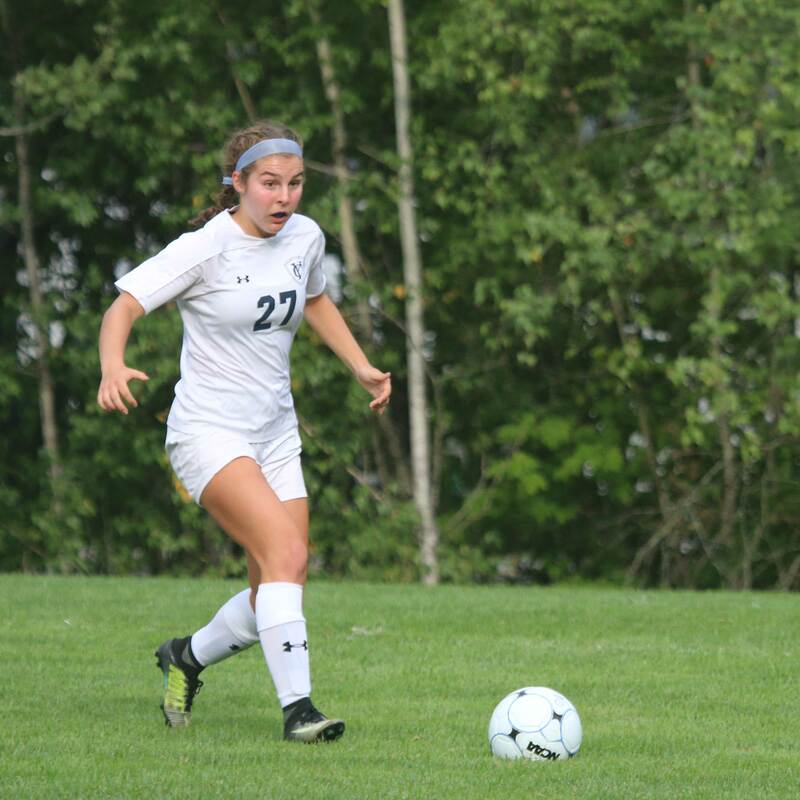 Teammate Ehryn Groothoff rushed into open space in the middle and one-timed a shot past Maddie Rock. 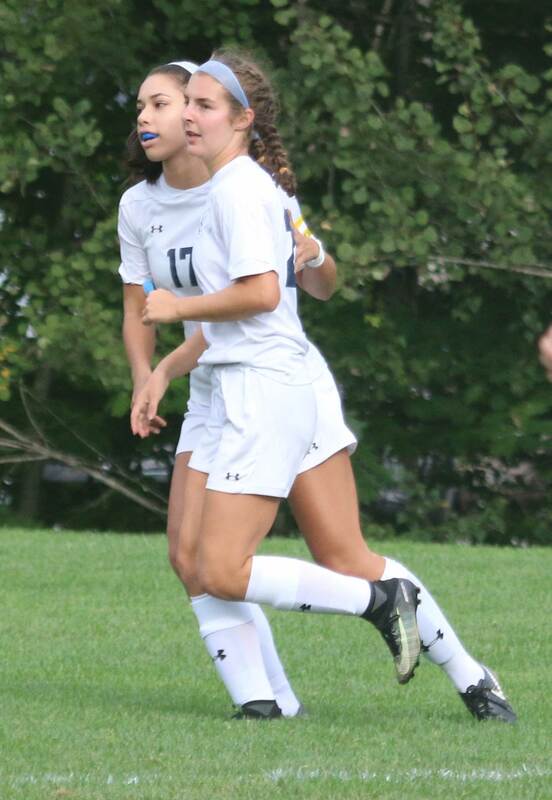 Sophomore Parker Harnett added an assist in the second half to her first-half goal. 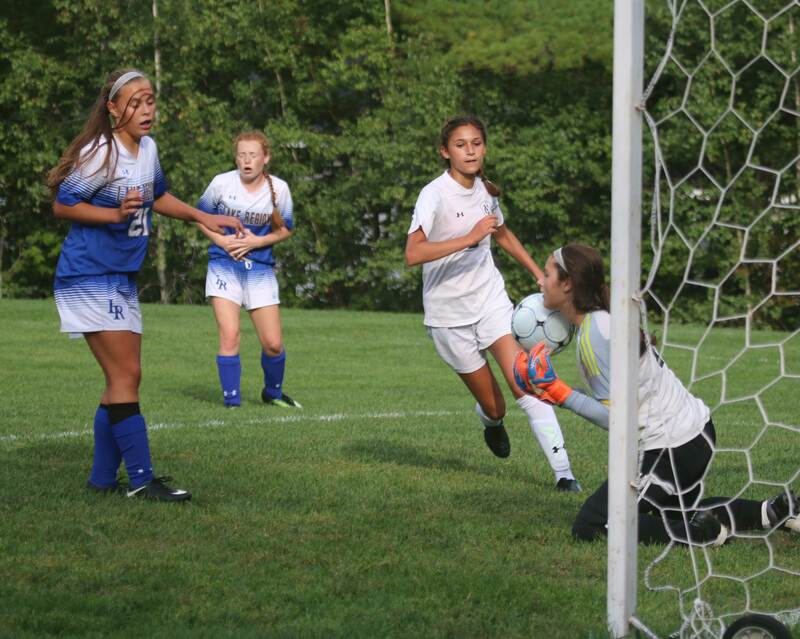 Parker found space from the right side and drilled a shot that GK Maddie Rock deflected. 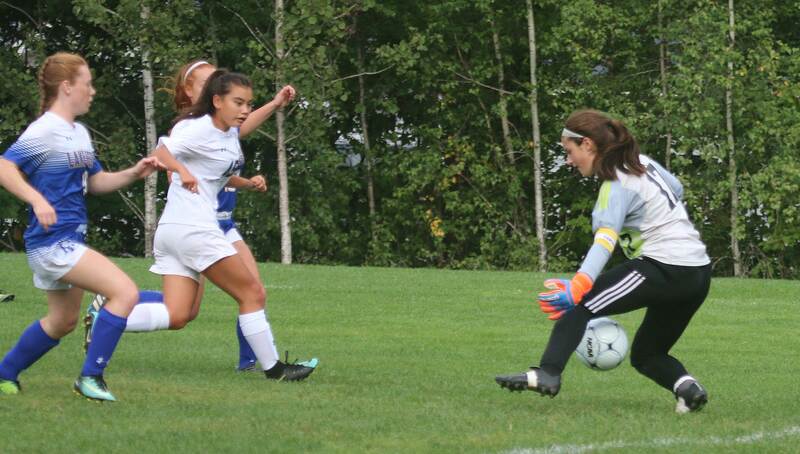 Audrey Goessling was quick to knock in the rebound sixteen minutes into the second half giving YHS a 3-0 edge. 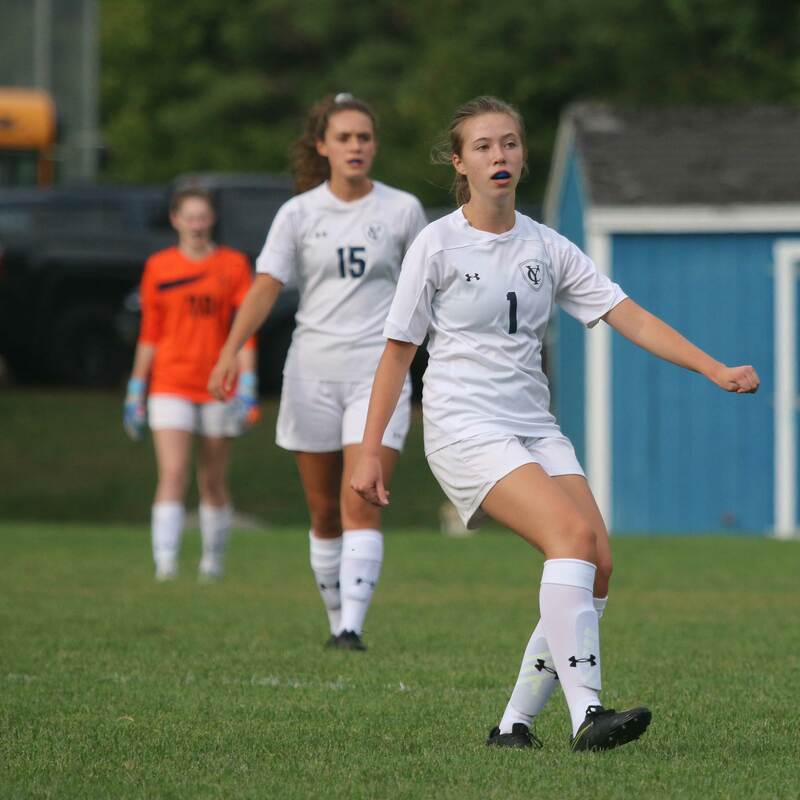 Audrey Goessling (17) scored the 3rd Yarmouth goal assisted by Parker Harnett. 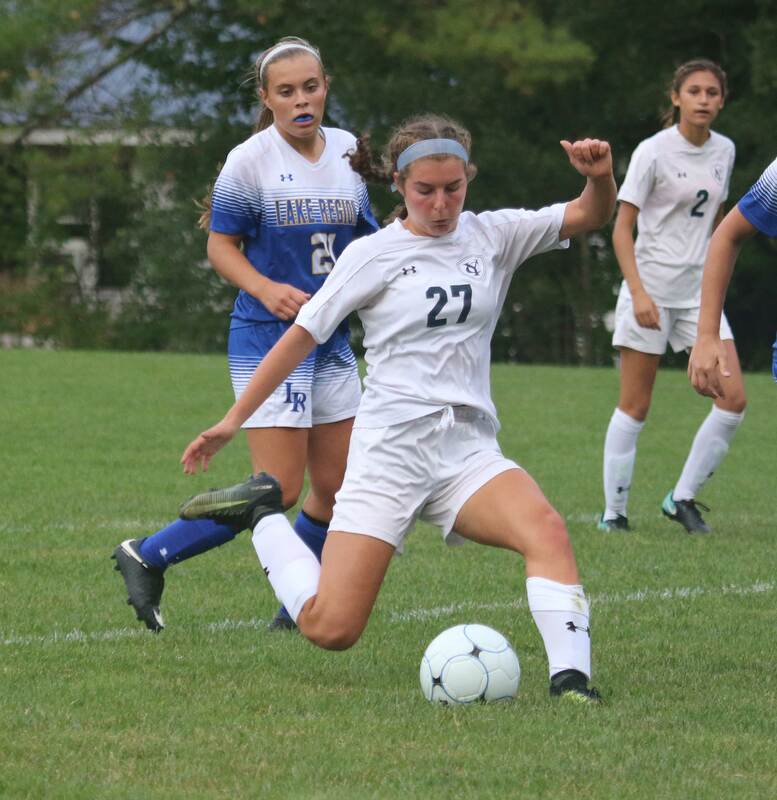 Adriana Whitlock tallied the final Clippers goal eleven minutes later. 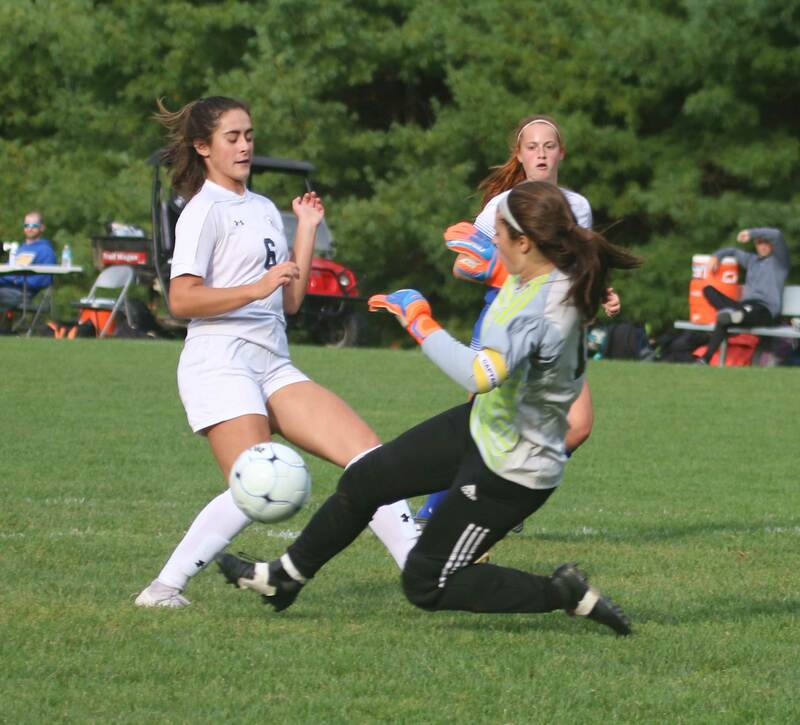 The ball came into the middle and Adriana was able to lift the ball over a LR defender as well as GK Maddie Rock. The Clippers play both teams again next week. “We’ll be ready,” promised Coach Coleman. 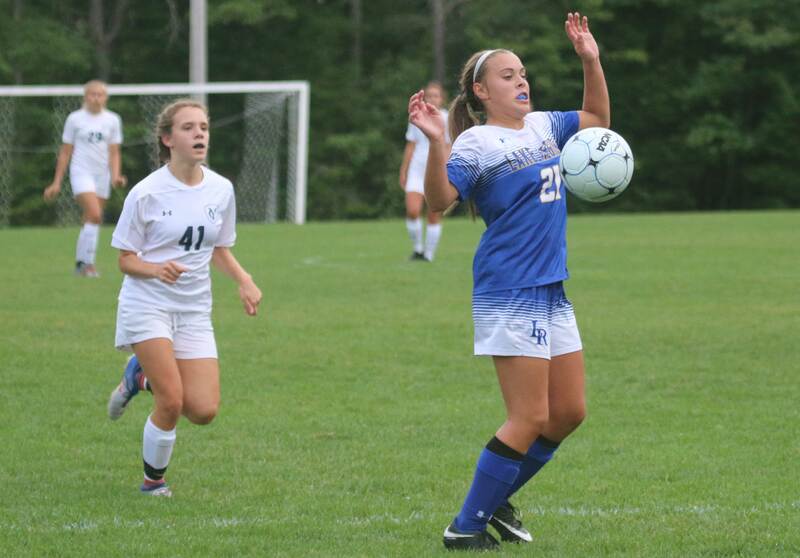 The Lakers tied Fryeburg Academy (2-2) earlier in the season. 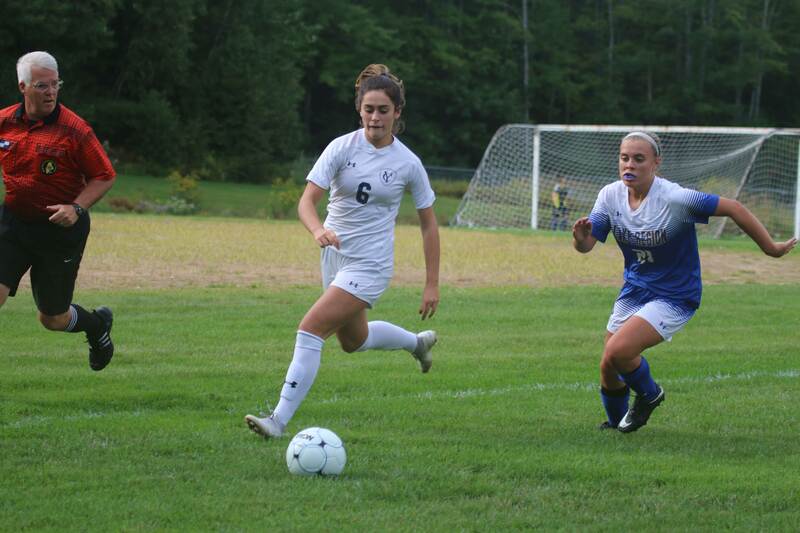 This week Yarmouth buried the Raiders, 9-1. I thought LR would be in serious trouble today vs Yarmouth as a result. Wrong assumption, as it turned out. 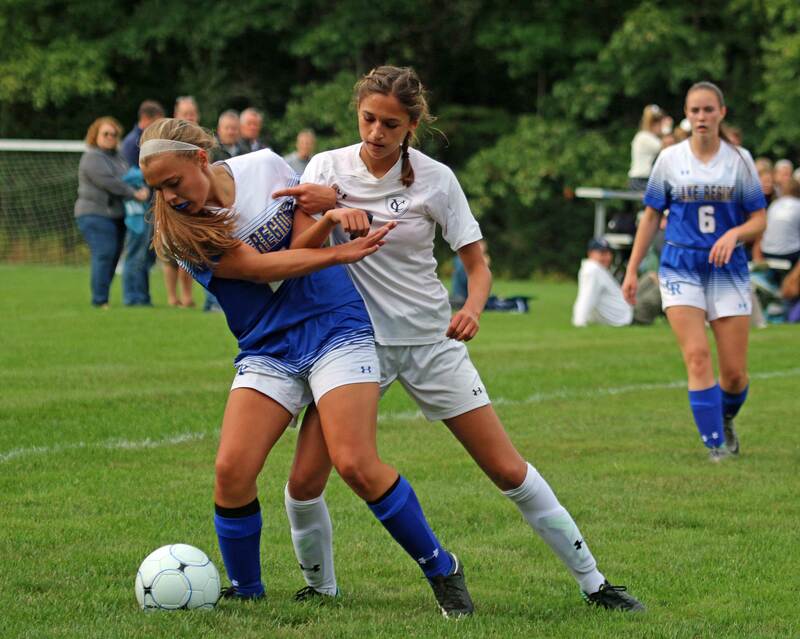 Sophomore Anna Wallace (four goals this season) eyes a loose ball while GK Maddie Rock tries to corral it.